Diana Gibbs is a resource economist with over forty years' experience. She has worked throughout Australia, and also in the Middle East and Africa, for wide range of corporate and public sector clients. She holds degrees in resource economics and environmental economics, and a Graduate Diploma from the Australian Institute of Company Directors. 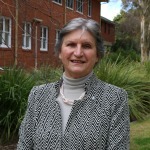 Diana has recently stepped down from her position as a Member of the Board of the Murray Darling Basin Authority, and has previously served as a Director of many other bodies involved in regional development and research relating to rural industries. She was awarded the Rural Women's Award for NSW in 2000, and is also a partner in her family farming enterprise outside Wagga Wagga.